Ever had the problem I did? A nosey sibling who goes into your room without permission? If only there was a way to set off an alarm whenever they did that. Well, now there is! For under $5, you can build your very own burglar alarm for your room! 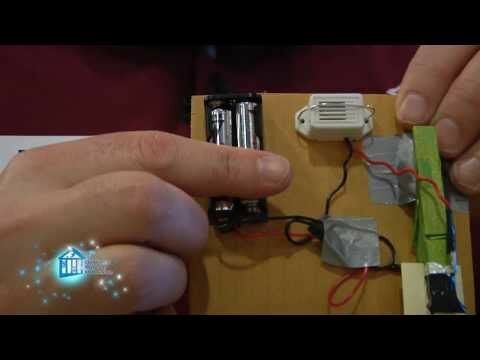 It is just a simple circuit including some wire, a buzzer, and a battery. The key to it is its slightly different take on the switch. Check out the video to see how to make your own! A special thanks to our friends at Regions Bank for helping sponsor O Wow Moments!